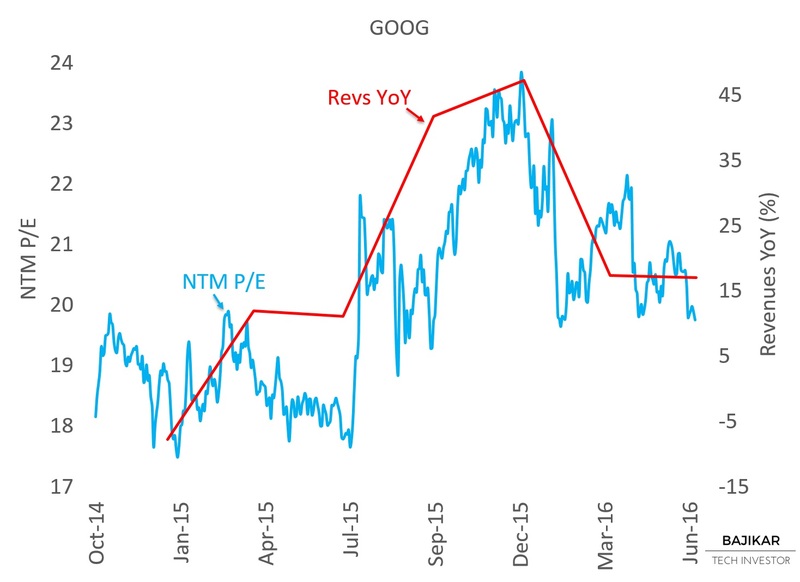 The charts provide a perspective on GOOG valuation & momentum indicators, and raise a few questions. Assuming fundamentals represented by NTM EPS are correct, the stock starts to look interesting (i.e. would potentially have increasing margin of safety) below $700. 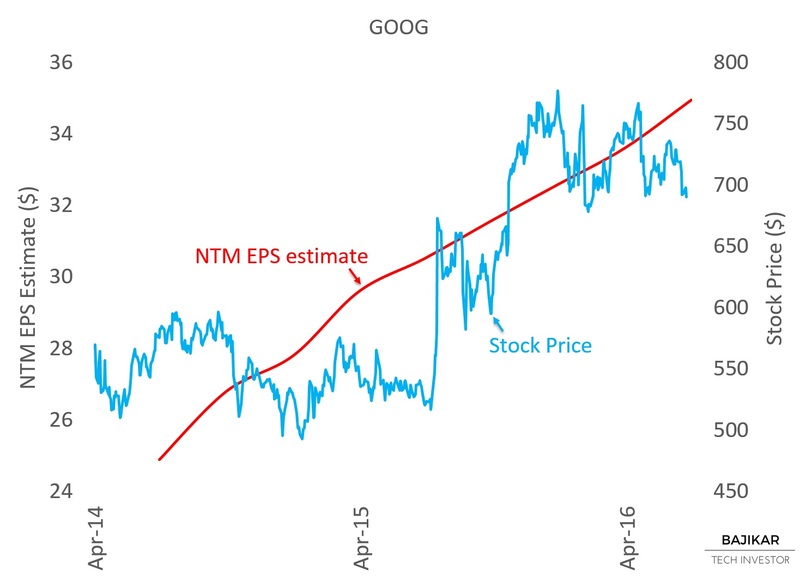 The stock price vs. NTM EPS chart suggests that earnings expectations have been on a steady (almost monotonous) rise over the last couple of years, while the stock bounced around those expectations. At its current levels below $700, the stock seems to be assuming potential degradation of earnings expectations. In terms of fundamentals, investors appear worried primarily about share loss in search advertising due to 1) rise of search competitor Facebook, and 2) shift of advertising spend to mobile combined with shift in usage from mobile browser to mobile apps. Bulls on the other hand seem to have higher expectations around untapped opportunities in self-driving car, as well as financial engineering owing to a well-regarded CFO. I think all of the bullish and bearish arguments are legitimate, and anecdotally as a consumer, I am biased toward using Google products. The P/E vs. Revenues YoY chart suggests that 1) valuation is tracking revenue growth, and 2) further deceleration in revenues could depress the valuation multiple by ~1x (i.e. from ~19x to ~18x). At NTM EPS of ~$35, the multiple compression would represent stock price downside of ~$35. 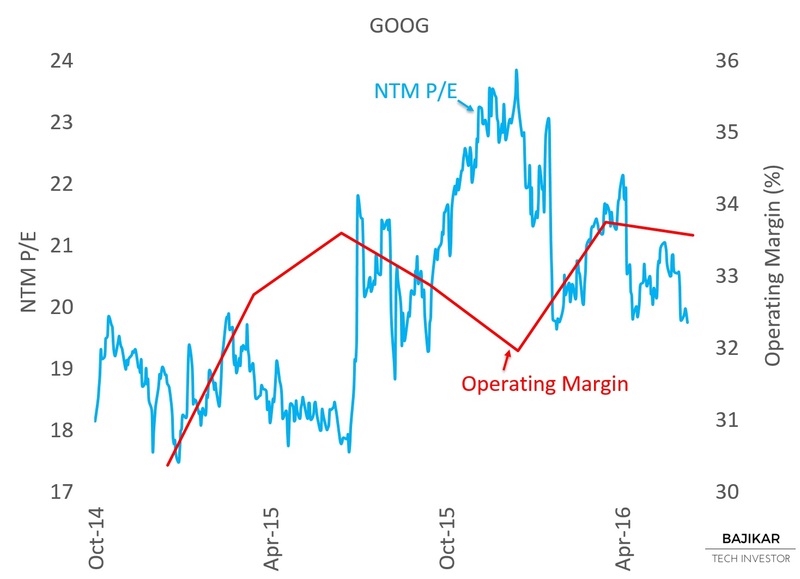 The P/E vs. Operating Margin chart seems to corroborate the finding, suggesting there is potential P/E downside to ~18x if operating margins were to tick lower. 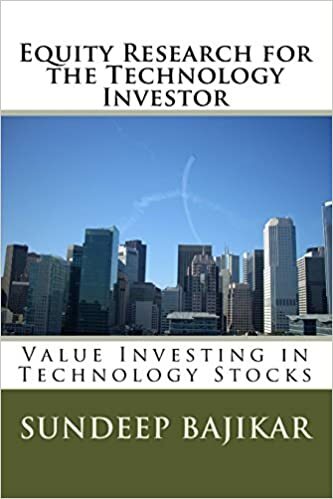 With a valuation profile that is not dramatically different from that of the broader market, with growth fundamentals (even after a bias toward deceleration) likely superior to those of the market, the stock does not seem overvalued in these frameworks, especially if there is a chance the company might be viewed as more “shareholder friendly” in the future. THIS ARTICLE IS NOT AN EQUITY RESEARCH REPORT. Disclosure: At the time of this writing, the acteve Model Portfolio held long positions in GOOG, but no positions in FB. Source: Stock market data provided by Sentieo.